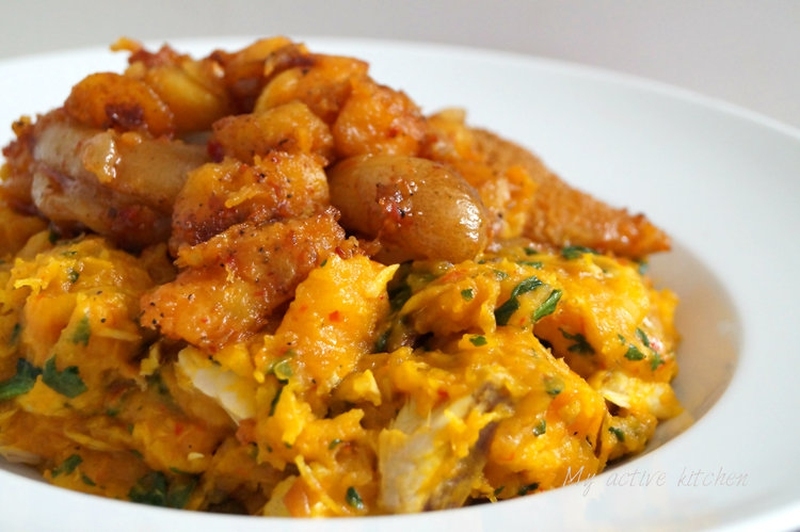 Yam porridge is one of the easy to make Nigerian foods and I know how to make. There are two popular porridge yam recipes, and one is the everyday porridge you make in your home with fresh tomatoes, pepper, salt maggi, the type you buy in posh restaurants. If you are a member of the Nigerian Kitchen, you probably know the one I am talking about. But then I did something else, I decided to experiment further with a tuber of yam and I came up with a delicious pot of yam porridge. Well, there is nothing so special about this recipe but this is the first time I am making anything as delicious as this with yam. If you live in Nigeria you probably know a chicken breed that is called "orobo", they are the robust ones. Although it has been proven that those robust chickens are not as tasteful as the thin ones, well, maybe, but I would say that you probably did not apply all my strategy for making tasty fried chickens. So here I am going to write about this great recipe! Peel & cut the yam tuber into medium sizes. 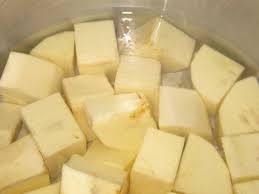 Wash the yam cubes and place in a sizeable pot/pan. Pour enough water to cover the yam cubes and start cooking at medium to high heat. Wash & cut the onions into tiny pieces. 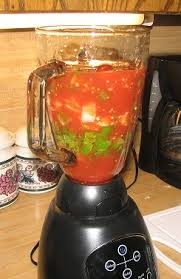 Grind/blend the chilli pepper. Set these aside. Boil fish for about 5 minutes with seasoning--salt. 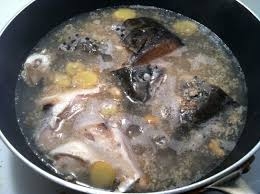 Save fish broth for the porridge if you are not using beef stock. De-bone fish, flake and set aside the broth. When the yams have got a good boil, add the onions, ground crayfish, pepper, seasoning cubes, palm oil/olive oil, fish flakes and the beef with the broth. Add the green vegetable and stir. Leave to stand for about 3 minutes and then serve.